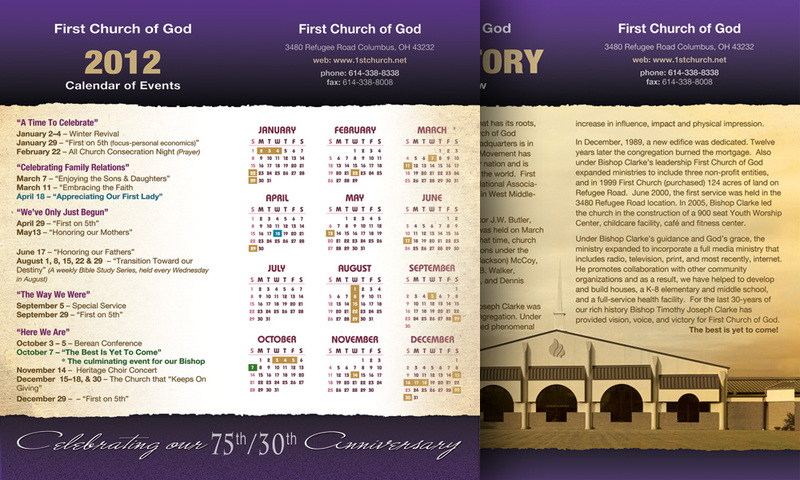 Summary Info extracted from First Church website. 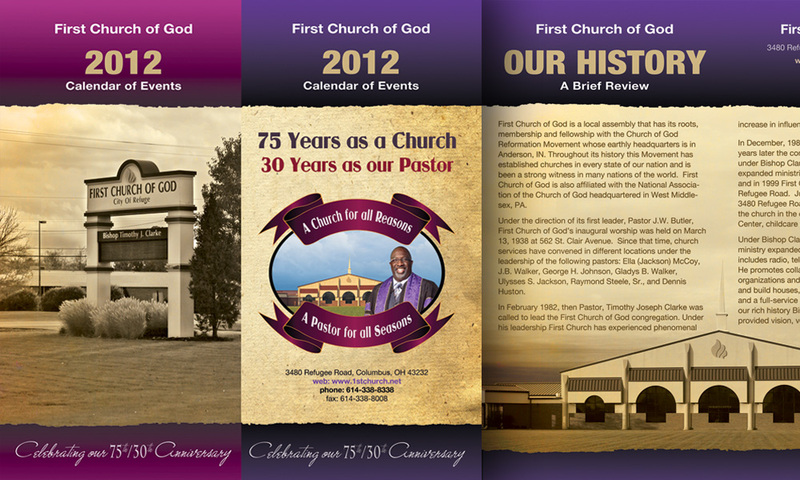 Design a Program with Calendar promoting The First Church of God's 75/30th Anniversay. 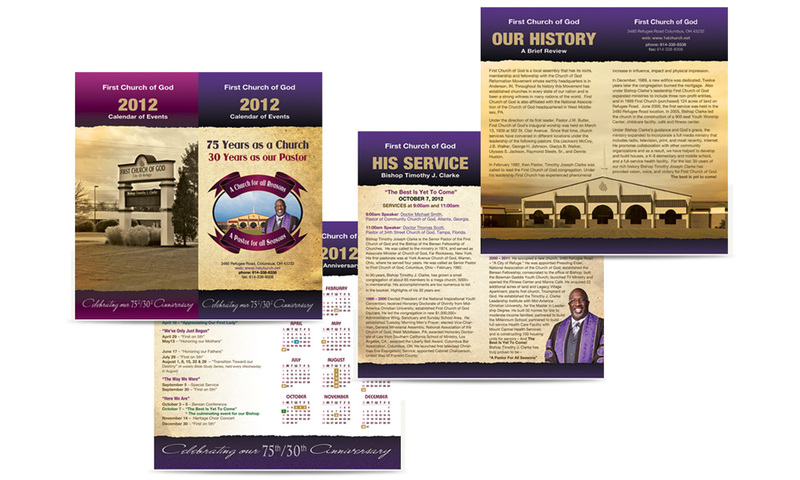 This program was only part of the overall First Church of God's 75/30th Anniversay Event Branding designed for the client. The package included: The Program, Logo, Letterhead, Envelope, Calendars, Indoor and Outdoor Signage, Digital Billboard and Banners.